Federal government order ships to slow down to prevent further deaths. In a new bid to protect endangered right whales, the Canadian federal government is ordering large vessels to slow down in the Gulf of St. Lawrence. Ships larger than 20m traveling the Gulf of St. Lawrence from Quebec's North Shore to the waters around northern Prince Edward Island are now subject to a temporary speed limit of 10 knots. The speed limit is meant to reduce the frequency and fatality of ship strikes. At least 13 right whales have died in the Gulf of St. Lawrence since early June, at least some after colliding with ships. The measure will be enforced by Transport Canada and the Canadian Coast Guard. Ships not complying will be subject to a financial penalty of up to CA$25,000. Smaller ships are being asked to voluntarily abide by the speed limit, which will remain in place until the whales have migrated from the areas of the gulf that pose the most concern. The measure was designed in consultation with the fishing and shipping industries, which for the most part, have embraced the conservation effort. “We do realize that there is some impact, but I think the marine industry also recognizes that we are trying to achieve something extremely important,” added Garneau. The Fisheries Department has already taken steps to prevent further deaths, including operating surveillance flights, shortening the snow crab season and asking fishermen to report whale sightings. World Wildlife Fund Canada called the speed restriction a “good start,” but said making the measure permanent is one of many steps Ottawa must take to reverse the species’ decline. 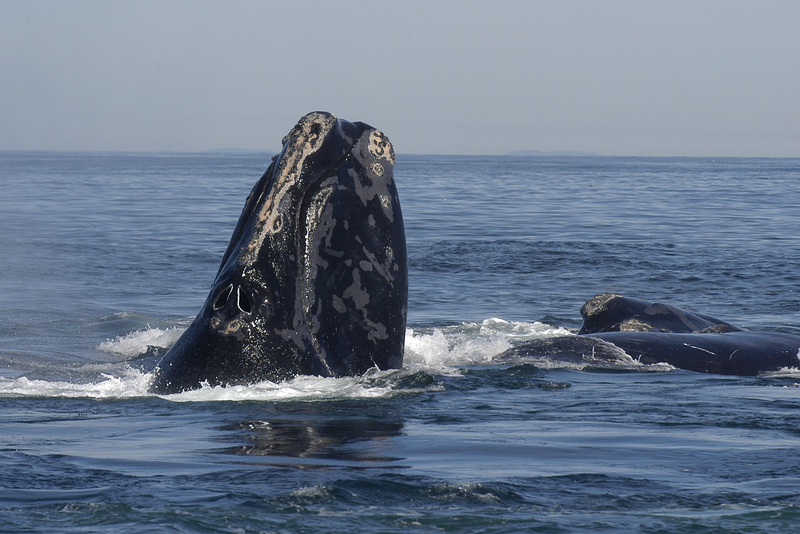 It is believed that 80 to 100 right whales are currently in the gulf but will migrate south during the fall. Primary threats include ship collisions, fishing gear entanglement and underwater noise. Latest estimates believe only around 500 individuals remain in the wild.